GEOCOUSTIC TECHNOLOGY Geocoustic engineering combines advanced sole shaping with externalized sound ribs to produce best-in-class sound and feel. Designed with a two-tiered sole, golfers will experience the same unreal distance of the original M2 with added playability from all lies. Excellent 3W. I have the 16.5-deg. Very solid. The M2 is honestly the best club in my bag at the moment. Great looking club at address. Far superior distance versus the Adams that it replaced...and can't forget the guys at RBG. They beat everybody else on price and cust. service. Keep up the good work. Bought the M2 to replace my Top Flite 3 wood. Huge improvement. Provides more forgiveness when hitting off the deck. Great feel, quality and look. Helps me be more accurate off the tee. 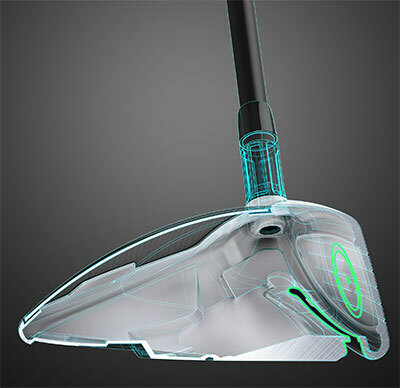 Hands down I've improved and increased my distance, better control on my fairway driver. Well balanced 3 wood that was BRAND NEW when it arrived. Tour FW wood has batter shaft than normal m2 FW wood. Loved the driver and 3-wood so took a chance and got the 5-wood, not knowing if I needed it. Hit it a bunch more times in my first 3 rounds that I thought I would and actually started hitting it on short par 4's with great accuracy. Love the look of it and the ball actually is going a little too far. Can dump my 3-wood on shorter courses and add it back in on longer courses because the 5-wood makes up the difference. And its a lot easier to back off a bit when I need shorter shots. ProsEasy to hit from any lie and surprisingly long. Looks amazing at address and you can work it in either direction. Standard shaft option is pretty nice, no need to even think about replacing it with a high end shaft. Love this club! !